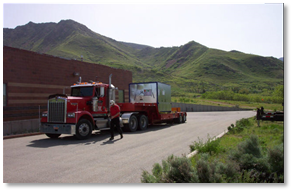 TECHMED SOLUTIONS provides transportation and rigging support to customers nationwide. 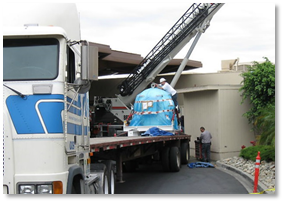 TECHMED SOLUTIONS also provides “White Glove Inside-Delivery,” regionally ensuring timely transportation and rigging services for any TECHMED SOLUTIONS project. 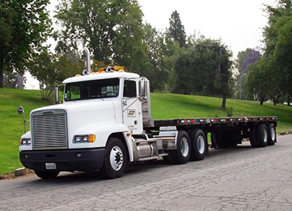 TECHMED SOLUTIONS has long standing contractual agreements with all the established, national air-ride van line transportation companies in order to provide our customers with the most cost efficient options nationwide to service your deliveries correctly. TECHMED SOLUTIONS has excellent discounts with all its carriers to assist in meeting our customer’s budgetary constraints. Proactive job set up with carrier utilization. White Glove inside Delivery Services. Fast and accurate communication on changes that affect your project. Key report measurement for driving success. Management reporting on cycle times. Carrier set-up and negotiation under ISO process requirements to ensure your process is followed and properly managed. Transport of Less than Truckload (LTL) shipments. Excellent customer service and client communications. Escalation approach driving changes in business, allowing for better preplanning and adaptation. Increased visibility while taking advantage of our network. Representation on-site as an extension of your company. One-call job set up: we set up the project and advise you of its status and completion.